A new triple combo gauge with electronic SPG. Electronic SPG adds an automatic alarm and light. 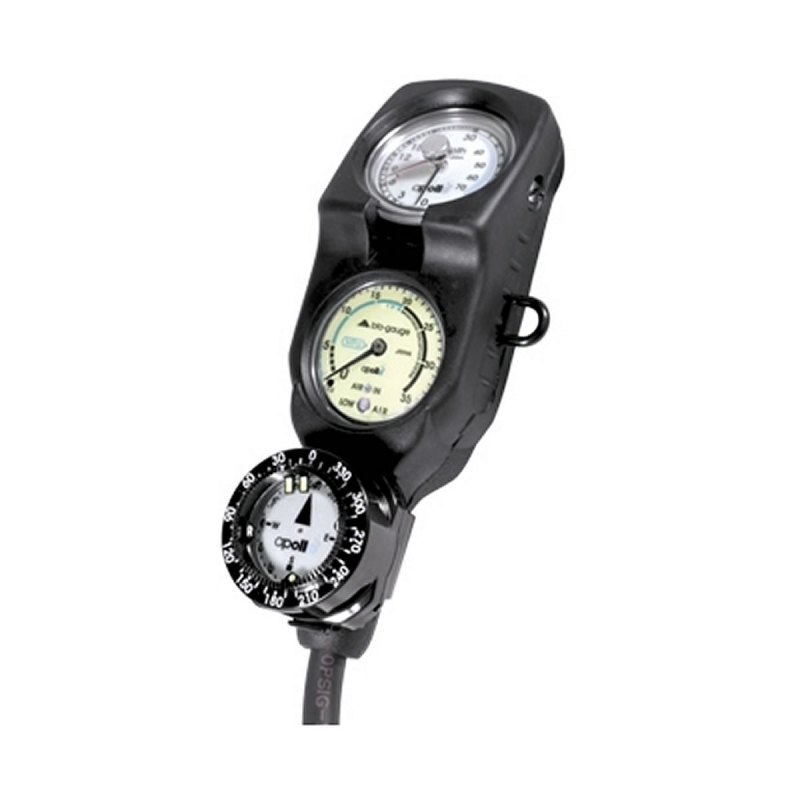 Highly accurate depth and pressure gauge that can be recalibrated if unit is damaged. Accurate and reliable compass with rotating bezel. Integrated clip loop on boot means no more dragging gauges. Fully serviceable. This is not a throw-away unit.